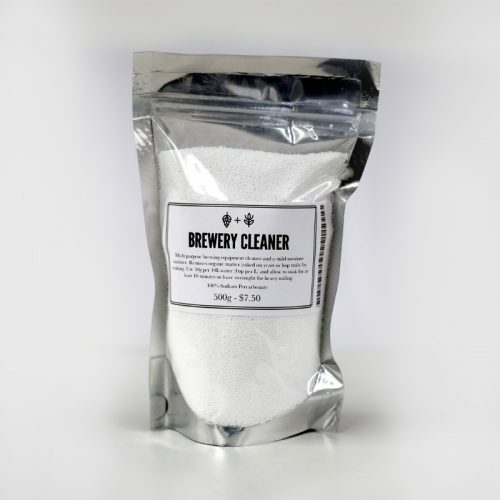 Multi purpose brewing equipment cleaner and a mild no-rinse sanitiser. Comes in a re-sealable sturdy mylar bag. Removes organic matter (caked on yeast or hop trub) by soaking. Use 30g per 10L water (1tsp per L) and allow to soak for at least 10 minutes or leave overnight for heavy soiling. Optionally follow up with a phosphoric sanitiser rinse. This product does work as a mild sanitiser, but requires at least 10 minutes of contact time to sanitise.